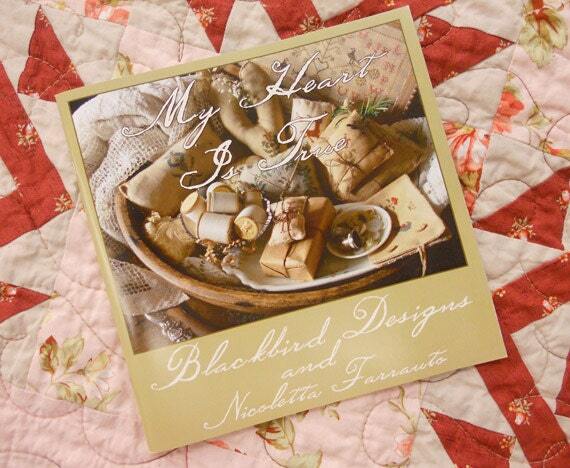 My Heart is True by Alma Allen and Barb Adams of Blackbird Designs and Nicoletta Farrauto. My Heart is True is a whimiscal collection of 11 projects ranging from needle books and pockets, to pincushions and framed samplers. This book is a wonderful addition to any stitchers/quilters/crafters library. Excellent customer service and lovely products!